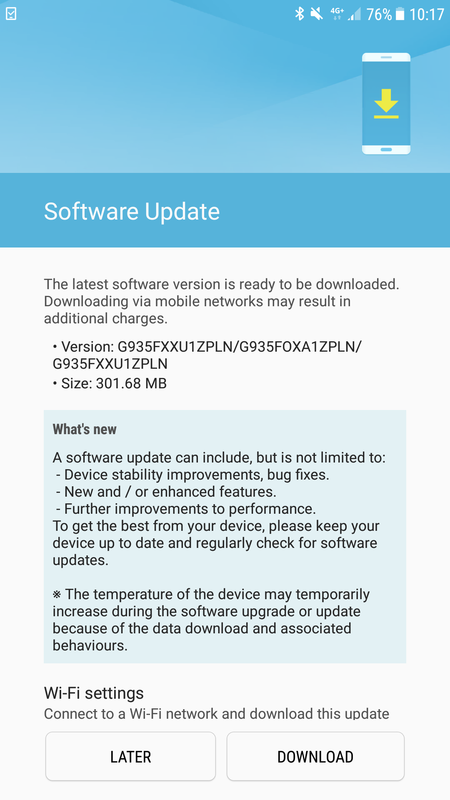 Following last week’s Nougat beta update for the Galaxy S7 edge, Samsung has now started sending out another update for the smartphone with some minor stability enhancements on board. The update is currently being sent out in the UK and South Korea; the changelog doesn’t show too many changes, so don’t expect any shiny new features here. However, it is specified that the update fixes the intermittent rebooting issue, which we have faced on our handsets at SamMobile. As usual, this particular update is only sent out to the customers who are members of the Galaxy Beta program. This is a closed beta-testing program designed to weed out any flaws with pre-release software before a widespread commercial release. For more details on Nougat for the Galaxy S7 edge, check out our What’s New With Nougat series, and feel free to let us know should you find anything substantially different or new with the latest beta. 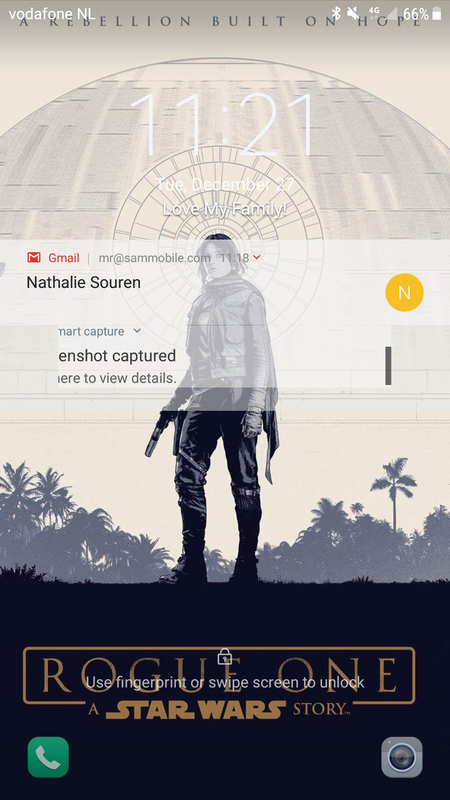 Update: One noticeable change in the new beta is transparency for notifications on the lockscreen, which means your wallpaper will always be visible no matter how many notifications you might have. Furthermore, the update is also available for the regular Galaxy S7 according to one of our readers, so do keep an eye out for it if you are taking part in the beta program. Plz rolling out NOUGAT s7 edge (sm-g935fd)INDIA. SM-G930V (Verizon S7) has a server error. Where do i get that wallpaper? :O its awesome! Your that gmail notification may have contain some sensitive info , right ? You should change it. Galaxy S6 wend can I expect to receive the update to nougat? There is never an expected date. The update will come when Samsung finishes development. When I left Samsung last time for an Win phone, i promised myself NEVER Samsung again..
Epic Lol! Android 8 will only be released by September/October 2017. Guys … can i use beta program and install android7 on my phone in iran ? Device Maintenance widget still not working properly, not displaying the amount of ram and memory in use.